We can design your vehicle graphics to meet any budget, from a bumper-to-bumper marketing machine to simply providing your company's contact information on the sides and rear of your vehicle. 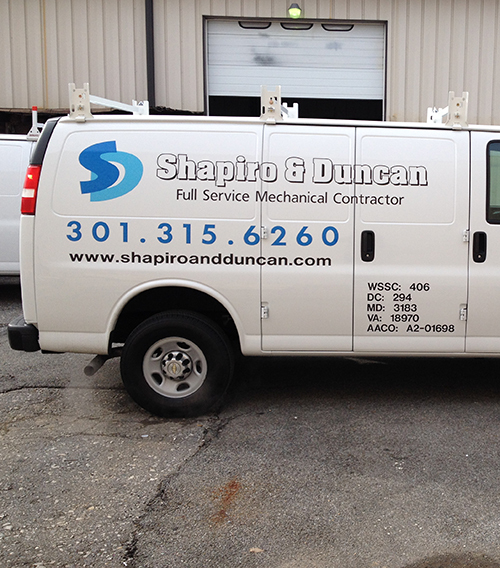 Vehicle graphics are produced from computer-cut vinyl lettering, or many times smaller areas of a digitally printed graphic is used. A vehicle partial or full "wrap" is another option for more design coverage & an eye-catching look. Look under "Vehicle Wraps" for more info.